The best way to recommend something in particular is when you've already tried it. In my case, I've only tried staying in three different accommodations from three separate Boracay trips. The first place was at Ocean Breeze Inn by Station 3 (2008), which I happen to have an old entry for. The second would be at Hannah Hotel by Station 1 (March 2011), and then Boradise Beach House by Station 1 (May 2011). First off, let me tell you something about our stay at Hannah Hotel. We were always welcomed with a warm smile or greeting upon entering the vicinity, and was always prepared a warm breakfast every morning. Our booking actually included a daily complimentary breakfast; and the remarkable thing about it was that the owners of the hotel were serving our meals themselves. It was a world-class experience, and it was very personal. Other than that, they always had something good to say about the world around us, especially the Mom. The hotel was definitely brimming with positivity. One more thing that I've also appreciated was their consideration to lift our reservation when we couldn't get to Boracay on time. We got stuck at the Manila Domestic Airport, waiting for our turn to fly to Kalibo. They were willing to change our booking, and to be rescheduled for the following day, in case we couldn't make it that day. The weather was pretty bad in Kalibo, but when the rain simmered down, we flew right back again. Good enough, our second try at landing in Kalibo was successful. To top it all off, the rain stopped. As soon as we rode the van that was bound for the Caticlan Sea Port, I immediately texted Hannah and Paolo that we were finally on our way. If you must know, Hannah Hotel has become very close to my heart. 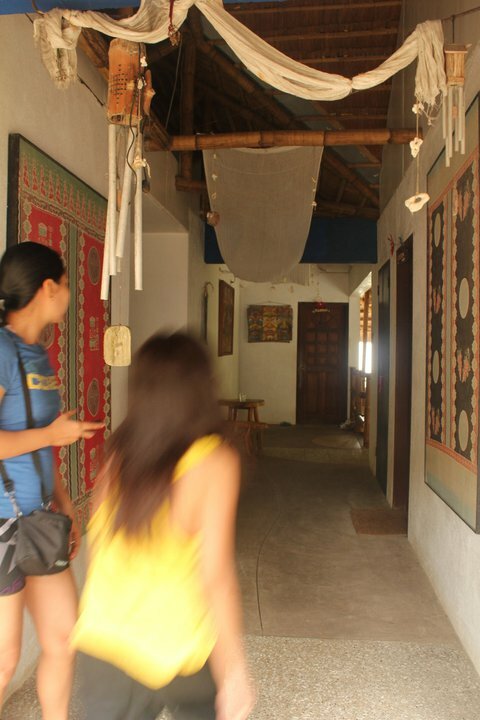 Not only were they hospitable in every aspect, they treated me, their guest, just like a close friend. I will never forget the long talks I had with Hannah and Paolo's Mom. I must say, our conversation was very intellectual. Besides that, the hotel itself also shows off a vintage vibe to it. There are hanged paintings everywhere, and also some lamps and shells that add up to the beach ambiance. Hannah hotel also has its own balcony on the 2nd floor. 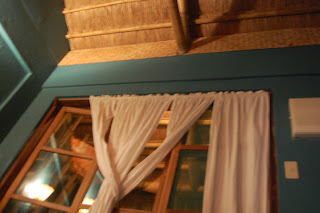 Our room was arranged with bamboo-framed beds, with a sarong hanging by the ceiling, a private T&B, TV, electrical outlets. 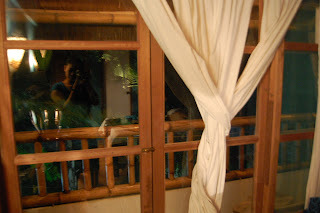 There was also a veranda upstairs that all the guests can use. They also had free WIFI , but you'll have to go downstairs by the lobby to get a full connection. Hannah Hotel is not beachfront. FYI. But you will only need to cross the main road to get to the beach; and it will only take you less than five minutes to get there. Their landmark is by the basketball court and church. 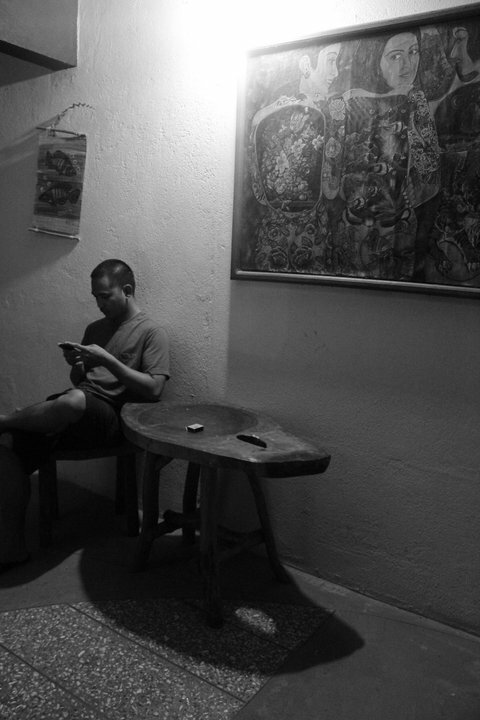 Other than that, the hotel, which happens to be by Station 1, also offers very affordable and budget-friendly rates. 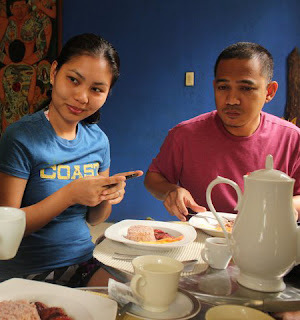 For a group of four, I only had to shell out about P2200 worth for a 4D/3N stay (including free breakfast). That's P550 per day! I'm looking for a place on my next visit which is in November. I'll try to check this out. This seems to be the best alternative to an expensive beachfront resort on Station 1, and you have described homey atmosphere quite temptingly. Will consider this next time. Too bad Boracay doesn't really appeal much to me anymore... =( I haven't been there and it was also one of my dream destinations but I think that too much people in the beach is not really my thing. It's nice to know, though, that there's an affordable and comfortable accommodation at Station 1. I've heard that Station 1 is the most expensive, is it true? I agree with you. I used to just dream about going to Boracay, since airfares were up the roof. I'm very fortunate to actually visit this remarkable province -- thanks to our budget airlines now!